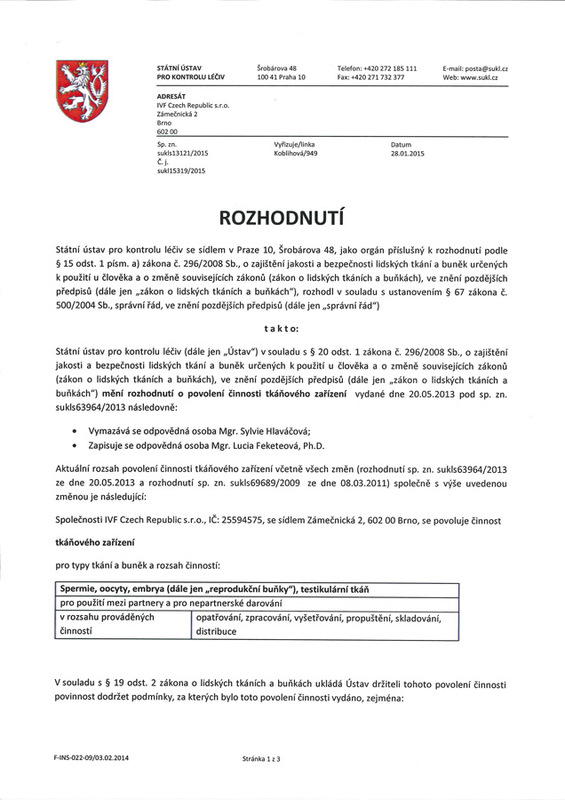 Authorization to operate - The Clinic of Reproductive Medicine Zlin - IVF Czech Republic s.r.o. In 2010 has the Clinic obtained The Authorization Decision to operate as a tissue establishment from the Czech Institute For Drug control. In its activity is the Clinic subjected to strict European directive for human tissue and cells, especially donors cells.